Edward M. Zimmerman, M.D. specializes in cosmetic surgery and aesthetic wellness for the face, body, and skin in Las Vegas, NV. 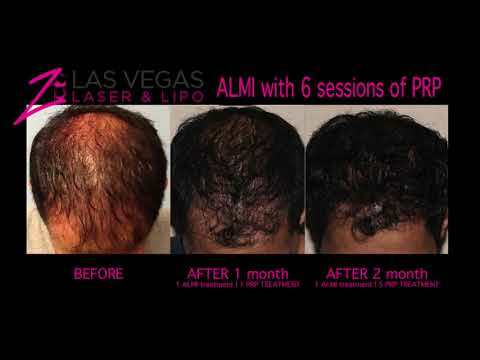 He is also the owner and director of Aesthetic Revolution Las Vegas (formerly Las Vegas Laser & Lipo), which offers a wide variety of surgical and nonsurgical procedures for men and women. Dr. Z is a pioneer in laser technology and treatments and introduced the first outpatient CO2 laser to Western PA. He is nationally and internationally known for his work, lectures, and written contributions to the field of cosmetic lasers. In addition, he has earned numerous awards, including the "Patient's Choice Award 2018" and "Top 10 Doctor" for the city, state, and metro area by Vitals. Dr. Z is passionate about what he does and loves helping his patients attain the aesthetic they've always dreamed of through personalized cosmetic care. As a seasoned cosmetic professional, Dr. Z is highly trained and skilled in performing simple and comprehensive procedures for the face, breasts, body, and skin. His niche is cosmetic lasers and he has studied extensively in light-based technologies and advancements. Therefore, he is known for his laser lipo sculpting, skin resurfacing, tattoo removal, cellulite treatments, FemTouch, ThermiVa, and more. He is also recognized for his facial rejuvenation treatments with dermal fillers, like Juvéderm, Radiesse, and Versa. Dr. Zimmerman graduated with departmental honors in biology from The Johns Hopkins University and has a master's in physiology from Georgetown University. He received his medical degree from The George Washington University School of Medicine and Health Sciences, after which he completed a three-year residency in family medicine in Beaver, PA with a heavy emphasis on surgical procedures, emergency room, and urgent care medicine. Dr. Zimmerman has been a fellow of the American Society of Laser Medicine and Surgery since 1994; the American and European Academies of Cosmetic Surgery; the American Society of Liposuction Surgery; the American Society of Cosmetic Laser Surgery; and the American College of Phlebology. Dr. Z is currently serving as president of the American Board of Laser Surgery and is an examiner for that board. He sits on the board of trustees and membership committee for the American Academy of Cosmetic Surgery and has been active with the California Academy of Cosmetic Surgery. Dr. Zimmerman has received the prestigious award for Academic Excellence in Cosmetic Surgery Education from the American Academy of Cosmetic Surgery. He received the "Best of Las Vegas Cosmetic Surgery" award for 2009 and America’s Top Surgeons-2010, 2012, and 2014 by the Consumer’s Research Council of America. He was awarded the 2011 and 2012 Leading Physician of the World and Top Cosmetic Surgeon in Las Vegas, NV. He was voted Silver State "Best Cosmetic Surgeon" in 2013 and 2014. Dr. Zimmerman is currently a faculty member of the Touro University School of Osteopathic Medicine. He has lectured nationally and internationally for nearly three decades, published articles and chapters on the use of lasers, light, and toxins, is a co-author of the comprehensive Study Guide of the American Board of Laser Surgery, and he has hosted hundreds of physicians for preceptorships in the state-of-the-art office that he helped design. He is a life-long student, teacher, and innovator with a passion for cosmetic surgery.